* This tour is open for harpists and non-harpists. Tell your friends. Discount for couples, friends, spouses and partners sharing the same room. ** Three lunches are on your own, as detailed in the itinerary. Sunita Staneslow is an international harpist, teacher and performer. 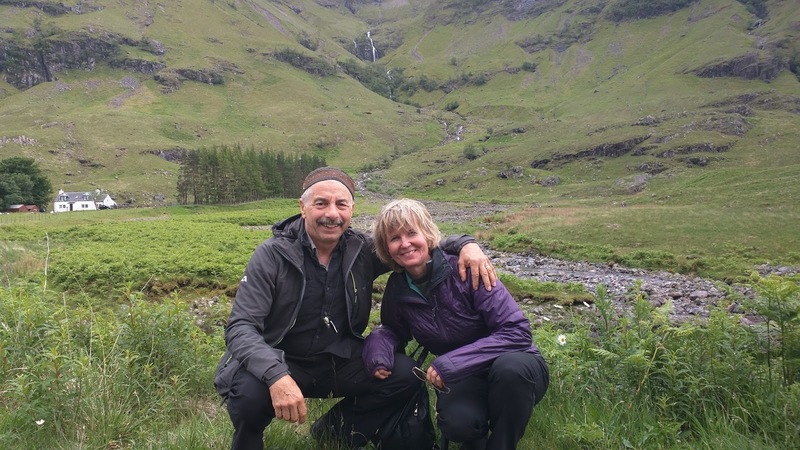 Her husband Fred (CEO of Green Olive Tours) was born in Edinburgh, and in 2015 they toured Scotland on a tandem bicycle with a harp on a trailer, while raising money for charity. Every year since then they have returned with 12-15 guests, mostly harpists - for a whirlwind of harp and touring activity. This trip has now been refined and enhanced with even more activities and excitement. 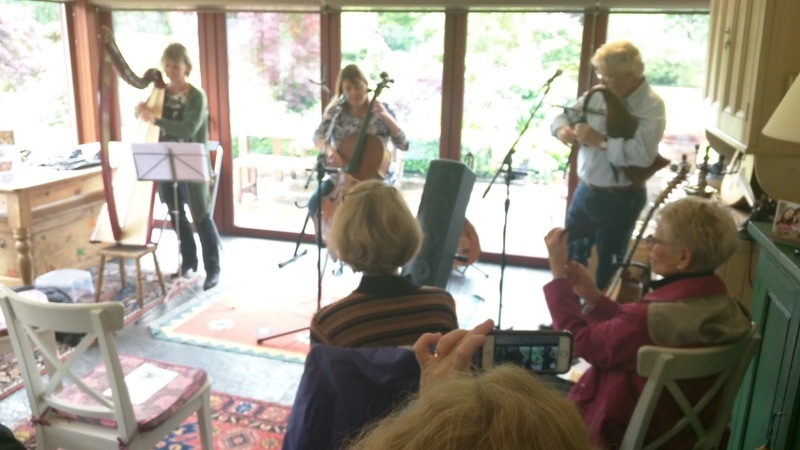 Join Sunita and Fred for a trip of a lifetime and meet some of their friends - wonderful harpists, musicians and family on a deeply personal tour. You’ll meet local harp players and other musicians, participate in harp sessions, and attend performances throughout the tour. In order to provide a quality experience this tour will be limited in number, so please Register as soon as you decide. The tour will fill up quickly. You don't need to bring a harp. Sunita will have a harp on the bus, and we are renting harps for the classes in Edinburgh. You'll arrive at Edinburgh airport in the morning We'll provide details on how to get to the Le Monde Hotel, which is very close to public transport from the airport. You can also arrive a day or two early in order to get over jet lag and explore Edinburgh a bit on your own. Let us know your exact arrival details after you book your flight. 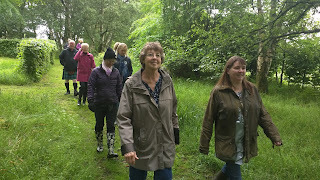 In the afternoon there will be an excursion to Alison Kinnaird's studio in the historic village of Temple near Edinburgh. Alison has been an inspiration to harp players all over the world, and her glass sculpture can be found in the collections of museums and collectors. We are honored that she welcomes our groups into her home and studio. In the evening there will be a welcome festive dinner where the group will assemble together for the first time and get to know each other. 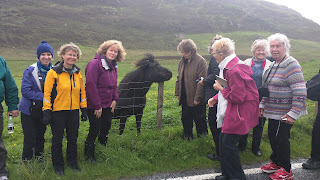 You'll get to meet some of Sunita's Scottish family and we'll go over the itinerary and details of the trip. The day will be divided between taking harp classes and exploring the Old Town with our guide Helen. 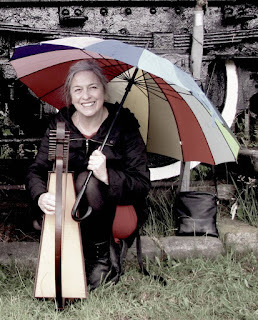 Mary MacMaster is one of today's leading Scottish Clarsach players and teachers. In 2013 she was inducted into the Scottish Traditional Music Hall of Fame. 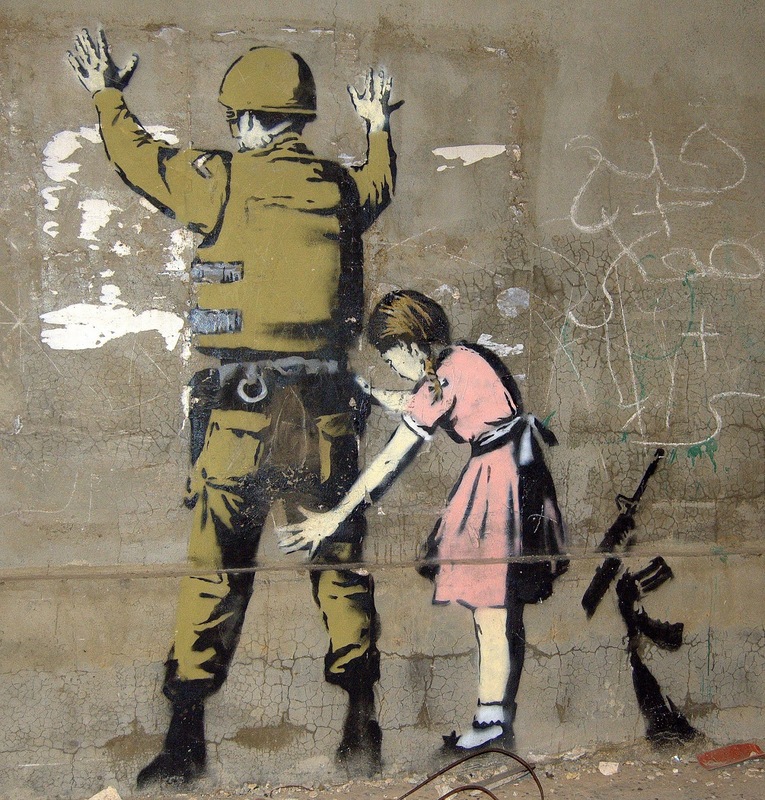 Her classes will be tailored to the performance levels of the participants in the tour. We will also take time to walk the streets of the Old Town, viewing Edinburgh Castle, the High Street and surrounding areas. 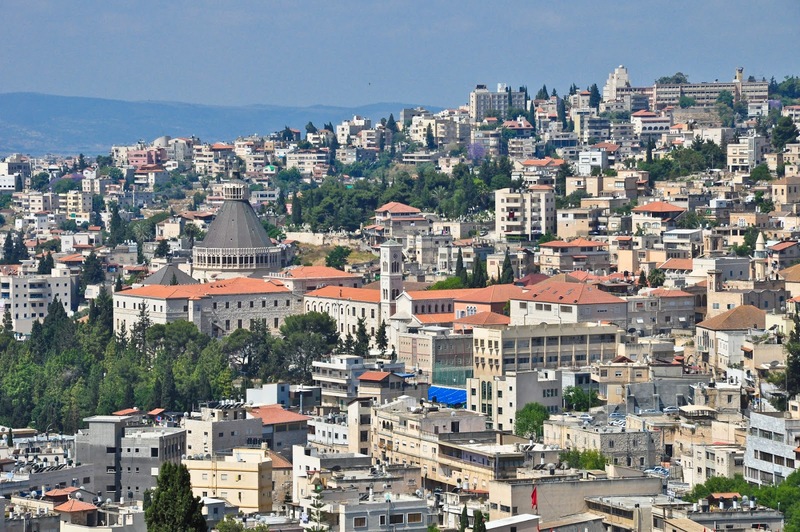 You’ll love the narrow winding streets and ancient stone buildings, many dating back to the early middle ages and beyond. For non-harpist companions, there will be another tour during the classes, with Sunita's husband Fred who was born and raised in Edinburgh. After dinner there will be a traditional music session back at the Le Monde Hotel Bar, with other local harpists and musicians. After breakfast we will board our coach and en route to Loch Lomond we'll visit the Kelpies, the largest equine sculptures in the world. 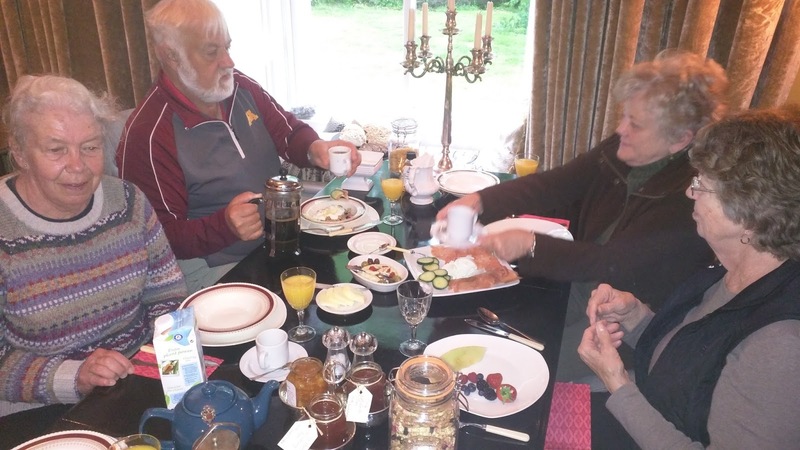 Then we continue through the beautiful scenic Carron Valley to Loch Lomond where we visit musician friends Ken and Linsey Campbell who have a small estate on the shore of the Loch near the village of Gartocharn. 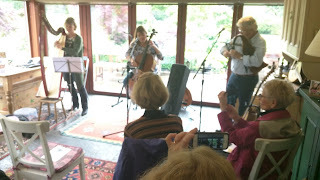 Ken and Linsey will perform a mini-concert with Sunita in their conservatory. After concert and tea, you'll stroll through their estate, with formal gardens, woodlands, bog, field, and rugged shoreline. A classic Scottish experience. We'll visit the waterfront village of Luss for lunch and take a walk though its charming streets. Then we're off deep into the Highlands to Glencoe - one of the most beautiful glens in Scotland, seeped in history and tragedy. We'll visit Fort William and Loch Ness, and maybe if we're lucky we'll catch sight of the famous Loch Ness Monster. Our accommodations are right on the Loch at the Old Pier House, hosted by Mrs. Jennie MacKenzie. 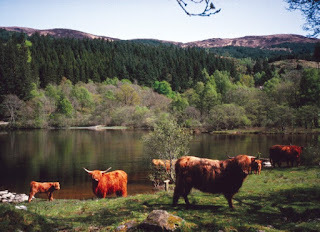 Just outside Fort Augustus, the grounds ramble on for more than 100 acres with Highland cattle and ponies that graze naturally on the heather hills, fields and surrounding woodlands. After settling in, we'll take a walk along the water to the Lock Inn for dinner at the edge of Fort Augustus. Some of you will be in the 150 year-old main house, and others will be in the log cabins. Later in the evening there will be an informal harp circle with an opportunity to share tunes or songs, or just relax and soak up the ambience. Sunita's harp will be available for use. 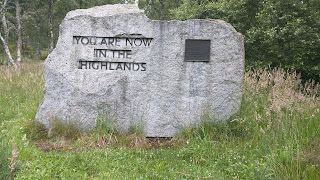 The day will be spent circumnavigating Loch Ness by coach, stopping at points of interest, including Urquart Castle on the shore of Loch Ness, an amazing edifice that was the site of many a bloody battle. In particular Culloden Moor will be visited. 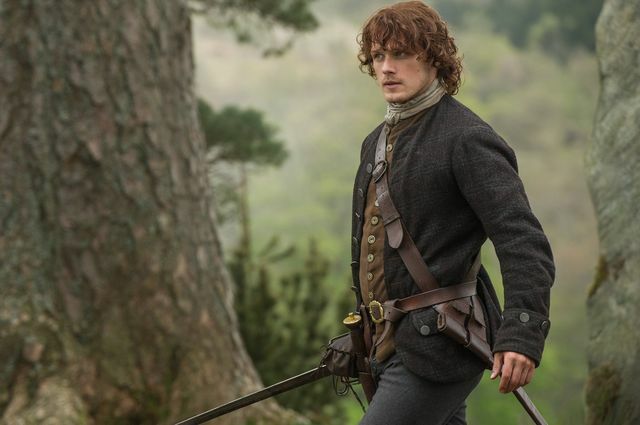 The Battle of Culloden was made widely known around the world through the TV series 'Outlander' which highlighted the final confrontation of the Jacobite rising of 1745-1746. 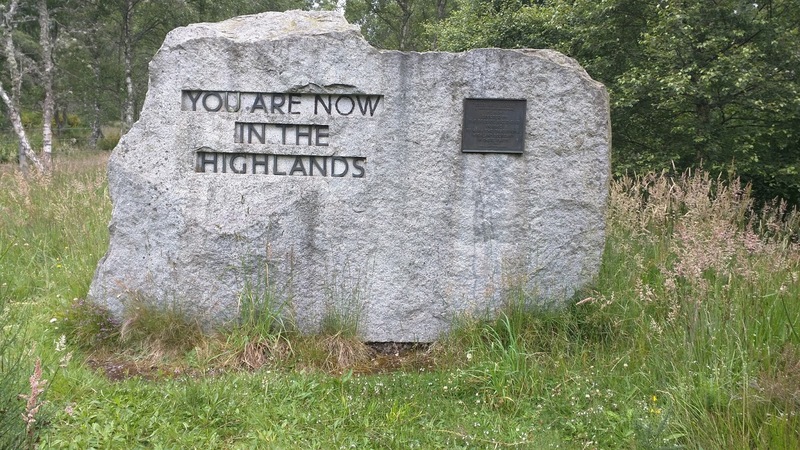 The Jacobite forces of Charles Edward Stuart were decisively defeated by loyalist troops commanded by William Augustus, Duke of Cumberland, near Inverness in the Scottish Highlands. We'll visit Ardival Harps in Strathpeffer, and take a look at their workshop and their medieval harps and modern clarsachs. Then a short visit and performance with local harpist, Cheyenne Brown. After lunch at the Museum Cafe near the harp shop, We'll continue to The Glenmorangie Distillery to learn about the process of making fine whiskey and maybe have a wee dram. We’ll end the day in the far northern county of Caithness where the Nordic influence is felt more than the Celts. Vikings settled this region over a millennium ago. We'll settle in to Olrig House. This historic mansion is set in an estate that will provide a historic backdrop for the next two days of activities. The house is a warren of hallways and rooms. Each bedroom is uniquely furnished and decorated, and some of you will be sharing bathrooms. Today is our driver's well deserved day off. You'll have an opportunity to relax, walk the estate, or you could take a taxi into Thurso or other local town for some independent sightseeing. During the morning there will be an optional 2-hour walking tour of the estate with Graham the groundskeeper and gardener. Graham's deep knowledge and articulate delivery brings to life the plants and animals that inhabit the meadows and forest canopy of this ancient land. From 4 - 5.30 pm Sunita will lead a harp workshop. Local harpist Susanne Lloyd-Jones will join us with her students. Her husband is a fiddler and will participate in the evening ceilidh after dinner, sharing music, stories, poetry, and communal fun. 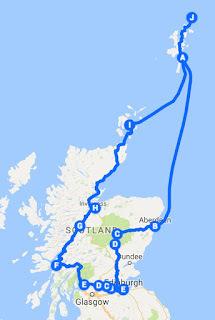 After a leisurely breakfast, we'll depart midmorning and have a picnic lunch on board the ferry to the Orkney Isles. 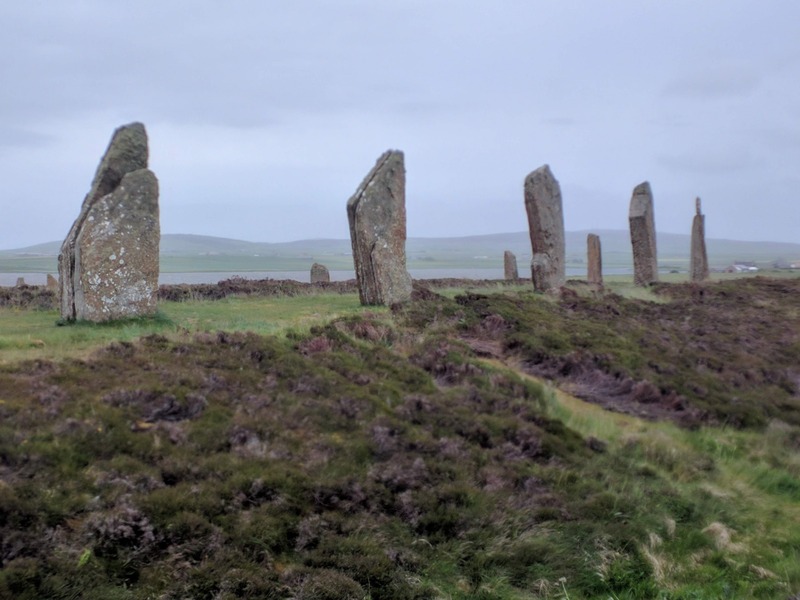 After disembarking the ferry, there will be a driving tour to visit Skara Brae, a restored Neolithic village, and then to the The Ring of Brodgar, a large collection of monolithic standing stones in a perfect circle. Late afternoon you'll have free time in Kirkwall to walk the old town, find a nice spot for a view or a nap. There will also be time to indulge yourself in shopping for some fine traditional crafts from the many small shops. You'll be on your own for dinner, then we'll meet for an evening musical event. Late in the evening we'll take the overnight boat to the Shetland Islands. You'll have a cabin and breakfast on the boat. Today is your fun day in Lerwick, capitol of Shetland. 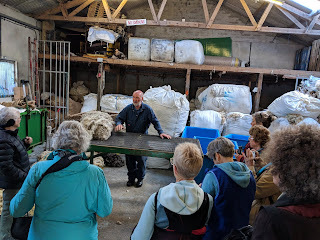 After a leisurely breakfast on the ferry we'll take a short walk and visit Jamieson and Smith Shetland Wool Brokers for a presentation of the entire process from sheep to ball of yarn to knitted garments. You'll have an opportunity to learn from the masters, and browse their extensive collection of yarn and finished woolen products. 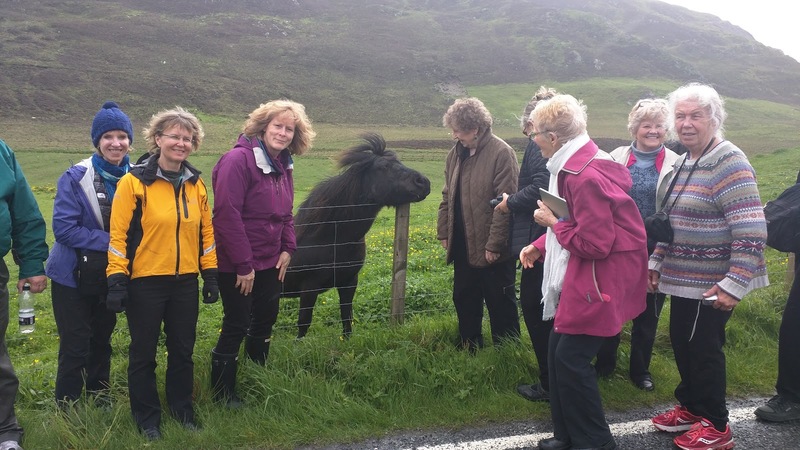 We'll also visit Lerwick's famous Mirrie Dancers Chocolates and taste the latest in artisan chocolate. You'll be on your own for lunch and for the afternoon, to shop, wander the waterfront or old town, or just relax and take it all in. In the late afternoon we'll meet back at the coach and drive north to the village of Brae, to the Gifford Mansion known as Busta House. Now a charming owner-managed boutique hotel, the 17th century property was in disrepair at the beginning of the 20th century, but through a succession of owners was eventually painstakingly restored. The building is reputedly the oldest continuously inhabited house in Shetland. You'll have the opportunity to walk the grounds of the estate, through a managed woodland to the waterfront and harbor. After a leisurely breakfast we'll drive north to view the cliffs of Eshaness. 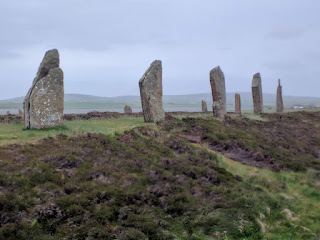 Few places in Shetland can rival Eshaness, either for scenery or historical interest. 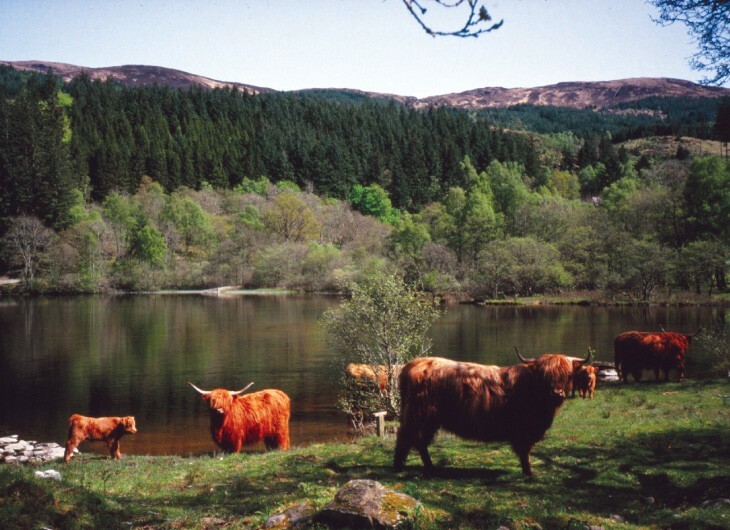 The area boasts a wonderful range of wildlife and habitats. Seals, otters, porpoises and occasionally dolphins and whales can be seen from the cliff tops. Inland expanses of peat and heather are home to mountain hares, rabbits, polecats and a multitude of birds. No trip to Eshaness is complete without a visit to Tangwick Haa Museum. 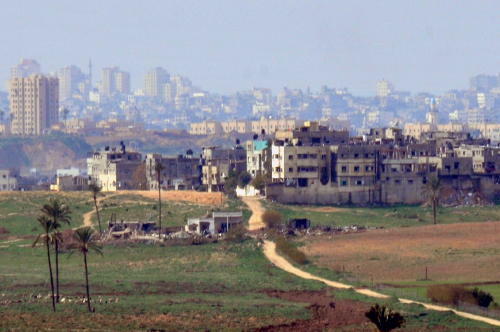 Different aspects of regional life through the years are illustrated by using a mixture of artefacts and photographs. We'll stop for lunch at the Braewick Cafe with a spectacular view of the cliffs we have been visiting. 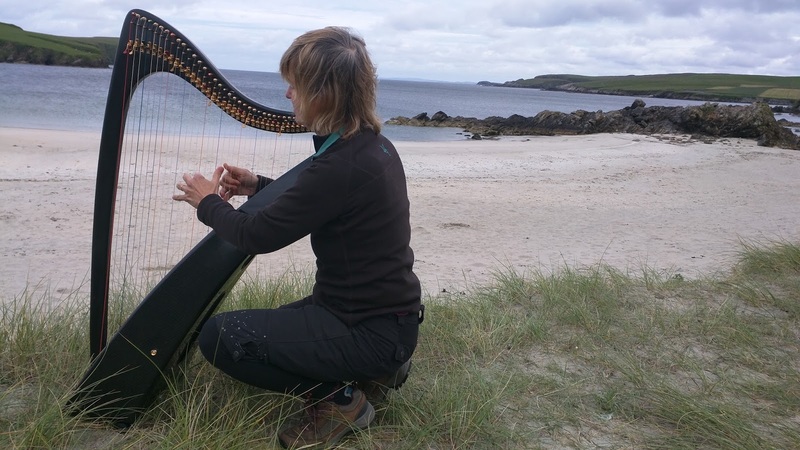 In the afternoon there will be a Harp Master Class with invited Shetland harpists. Dinner and overnight at Busta House. 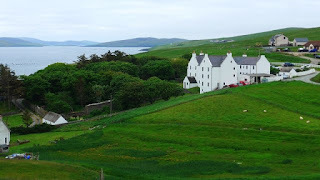 After breakfast we'll drive to the tiny port of Toft for the short 20-minute ferry ride to the isle of Yell where we'll visit the Shetland Gallery of local fine art, and the adjacent Global Yell, featuring an exhibit of looms and locally woven textiles. Then off on another short 10-minute ferry ride to the Isle of Unst, the most northern island in Scotland. Lunch will be served at Victoria's Tea Room in the village of Haroldswick, right next door to the 300 year-old house that Sunita and her husband recently purchased and are restoring to its former splendour. In the afternoon there will be an optional 3 hour light hike to Muckle Flugga - the most northern point in Scotland. The name comes from Old Norse, Mikla Flugey, meaning "large steep-sided island". The hike is over rough heath and requires good general fitness and proper footware. For those of you not wanting to hike, we offer a driving tour of local sights on Unst, including a restored viking boat, and a visit to the Unst Heritage Centre with it's fascinating museum and exhibit of local knitting and lace. 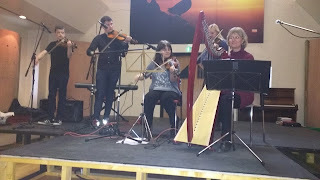 Dinner and evening Solstice concert by Sunita and local fiddlers at the North Unst Public Hall. The concert will benefit the Haroldswick Boat Haven. We'll catch the late evening ferries back to the main island in time to toast the solstice at midnight. Sunita on the beach at Bigton, with a view of St. Ninian's Isle. After a leisurely breakfast, we'll say goodbye to Busta House and drive down through the main island with our guide Les. Lunch will be at the Hoswick Visitors Centre, in Sandwick, which features local crafts and artefacts, and serves as a hub for the community. On the other side of the island, we'll visit to the village of Bigton with it's 'tombola', a unique strip of sand that links to Saint Ninians Isle. If the weather is fine, you'll be able to walk out to the Isle. It's an easy walk and a memorable experience. Dinner and overnight on the ferry to Aberdeen. After breakfast on the ferry, the group will meet up again with our guide Helen who will lead the group from Aberdeen through the mountains and glens to Edinburgh. 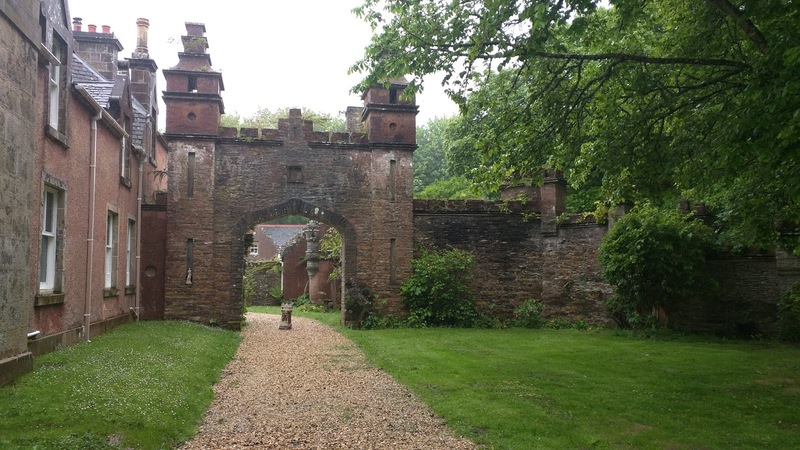 You'll pop in for morning tea with local harpist Alison Bell, and visit Crathes Castle near Banchory, formerly associated with King Robert the Bruce. The drive through the Cairngorms National Park is awesome - a huge mountainous wilderness region with some of the highest peaks in Scotland. On arrival in Edinburgh you'll be dropped off either at the airport or at a central location in Ediburgh convenient to trains, buses and taxis. You may want to spend a day or two exploring on your own in Edinburgh before returning home.